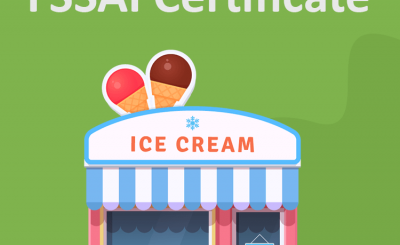 As all food related business needs a regulation in terms of consumer safety, In India FSSAI (Food Safety and standards authority of India) is the authority regulating all food businesses. By food business, we mean all restaurants, manufacturers, repacks, transporters, importers, exporter etc. As India is rich in agricultural products, We are one of the topmost countries in terms of exporting products such as rice, sugar, mango and various other fruits, ginger, organic products etc. If you want to export any food items then you shall have import-export code first of all and for Fssai compliance, you shall have Food license in India, food license for the export-oriented unit is central license if you are 100% export oriented unit. Now let’s understand what the central license is, There are three categories of license, First is called basic registration- basic is for all the businesses having an annual turnover of less than twelve Lakhs, Second category is called state license, this is for businesses having turnover between 12 lacs to 20 crores, Third one is Central license, it is for businesses having turnover above 20 crores. In certain cases for example, if a business has any segment where they import as well, that business shall take central license irrespective of the limit of turnover. Food license for exported oriented units shall be central if it is 100% export oriented. To apply for the same, certain documents such as identity and address proof of the legal entity and the operator is required. In case of a business being manufacturing unit additional document such as the layout of the unit, water report, technical persons certificate working in the units are required. 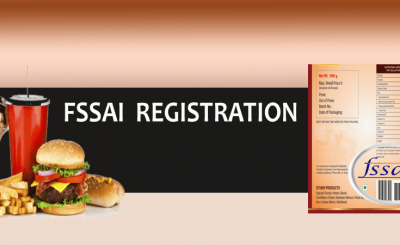 Food license in India can be obtained through our team of experts. It shall all be online, you need not visit us for same. Scanned copy of the requested documents is all that is required. 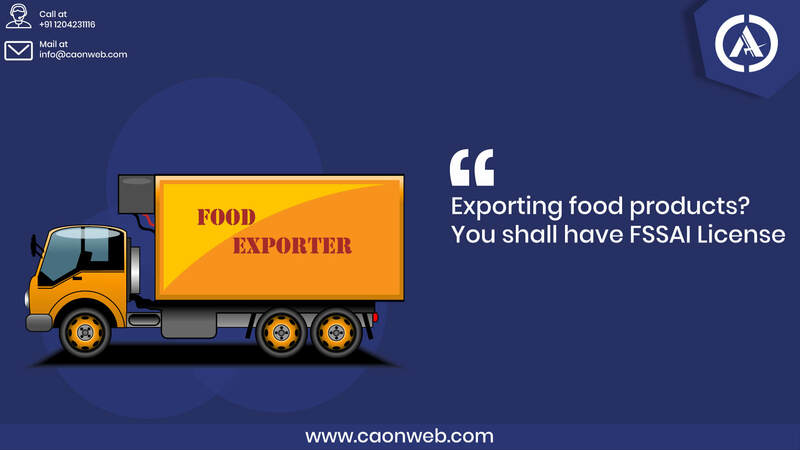 Food license in India for all kind of food businesses and food license for export-oriented units related questions can be asked to our experts at Caonweb. We try to make it very simple for your better understanding of the compliance. Summary: For all queries related to food license in India drop in an email or contact us. Along with the food license you could also take services such as company incorporation, bookkeeping, and audit-related services. 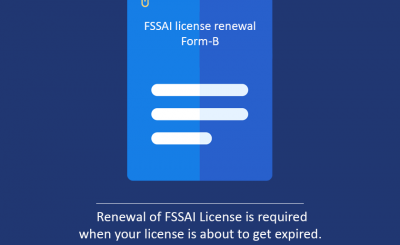 How to renew your food license?